Shock and sadness swelled inside me as I watched the video footage of Notre-Dame Cathedral ablaze on Monday evening. Like many, I’ve stood in awe of the ancient structure — a medieval building built by the hands of thousands between 1160 and 1260 that today is one of the most widely recognized symbols of Paris, France, and European culture. Just hours into the wake of the devastation, hope emerged. Calls to restore the heavily damaged Notre-Dame to its symbolic majesty were answered with pledges of financial support. Individuals, businesses, and foundations across the globe pledged more than $300 million within the first 24 hours of the fire. The speed of the philanthropic response to support Notre Dame not only reinforces the notion that the many throughout the world view the cathedral as belonging to the whole of mankind, but also emphasizes that in today’s digital world, we can move quickly to raise money for causes close to our hearts. I read that on Sunday, a GoFundMe campaign to help three black churches rebuild from arson had raised less than $50,000. But after the outpouring of generosity on the world stage in response to the burning of Notre-Dame Cathedral, donations for the small Louisiana houses of worship skyrocketed to $1 million in just two days. Sometimes it just takes a reminder — a nudge — to get the attention of philanthropists. I often wonder what magic ingredients must be present to create such a groundswell of interest and support, as there are so many causes that deserve our collective and thoughtful action, but never mobilize the same kind of response. Some might say that these other causes don’t rise to the same level of global significance, while others will argue that so many worthy endeavors suffer from their inability to adequately share their message. I guess after more than thirty years of trying to find common ground between important causes and those willing to open their pocket books and wallets in support, I am still looking for a way to make it happen more often. I feel fortunate to live in a time when responses to tragedies can move so quickly. However, I see tragedies each and every day — parents who don’t have the money to purchase food for their families, people in a downward spiral as a result of a drug or alcohol addiction, service men and women with PTSD who don’t have access to mental health services. If the world can move so quickly to rebuild Notre-Dame, can we prioritize our community’s problems and work more swiftly to address them? The holiday season is upon us, and while many of us are frantically searching for gifts to give our loved ones (or writing up wish lists of our own), it’s important to remember those among us who are less fortunate. Many individuals living in Northwest Georgia rely on churches and charitable organizations to survive from time to time. Some may need food assistance during the holidays, others may need housing, and others may need help with a utility bill to keep warm during the frigid winter months. In one of my previous blogs, I made some general recommendations pertaining to how to give—the best way to optimize your charitable contributions and get the most bang for your bucks. Here are a few notes from that blog to consider as we journey forward into the Season of Giving. – Give larger donations to fewer organizations. It’s great to give $100 to ten organizations, but it may be smarter from a “charitable value” perspective to give $500 to two worthy organizations or one significant $1,000 contribution. Larger, well-thought-out donations will probably do more good than several smaller gifts. This makes for harder decisions on your part, but it is a reality. – Consider making periodic payments (monthly, bimonthly, or quarterly). Based on my experience managing and assisting nonprofit organizations, I know that a steady flow of donations during the year helps the monthly cash flow and adds to the long-term sustainability and success of organizations. And face it—it’s easier on your pocketbook to make twelve monthly $100 donations to a charity than it is to write one big $1,200 check at the end of the year. In today’s world of easy online banking, it only takes a minute to setup a regular payment schedule directed to your favorite charitable groups. Set up your automatic payments in January, and be done with it. And it was always said of him, that he knew how to keep Christmas well, if any man alive possessed the knowledge. May that be truly said of us, and all of us! And so, as Tiny Tim observed, God bless Us, Every One! – Use your employer’s payroll deduction program. Payroll deduction is another easy way to give. Money is automatically deducted from your check by your employer, pooled together, and sent to the organization(s) you’ve selected. Again, recurring payroll deductions allow you to spread out your charitable gifts over the course of a year, which makes your donation more manageable and helps keep a steady stream of cash going to the nonprofit of your choice. And did you know that hundreds of companies across the country match their employees’ contributions to qualified charities? Some match donations dollar for dollar, so a $500 gift becomes a $1,000 gift. Ask your human resources representative if your company offers charitable gift matching, and if so, find out what rules apply. I consider my willingness and ability to “give back” an honor, a privilege, and a blessing, but it doesn’t stop with the generosity in my heart. Just like others, I seek value in my charitable giving decisions. As 2018 draws to a close, I encourage all prospective donors to consider making a few charitable donations before the end of the year and lifting up an individual or family in need. Chief Executive Officer, Alan Robertson stands in front of The Winners Club in Calhoun. Our Foundation helped The Winners Club establish an endowment that will allow the organization to serve the youth and families of Gordon County for years to come. You have probably heard the term “endowment” used, but have you ever stopped and thought about what the word actually means and how endowments can benefit your favorite charity? An endowment is a special type of fund that generates investment income — year after year — which make annual distributions to the organization that help them fulfill a mission. The distributions can also be reinvested in the fund to grow over time. Having an endowment fund can provide a stable annual funding stream for the organization and demonstrates its long-range financial strength to potential donors. They provide a financial stability not contingent on the success of current or future fundraising campaigns. Our Foundation feels strongly about helping regional nonprofits and churches build and manage their endowments so that quality programs and services can continue well into the future. Today, we present twenty regional organizations with endowments at the Community Foundation. We’ve also included their missions. Is your favorite organization on our list? 1. The Winners Club — to provide children of Gordon County with the love, mentoring and self-esteem so they have the opportunity to develop into the best people they can be. 2. Family Support Council — to work to prevent child abuse and neglect by supporting and building strong, nurturing families in and around Dalton. 3. Bartow Education Foundation — to support the Bartow County School System in providing world-class educational opportunities for its students and teaching community. 4. St. Mark’s Episcopal Church — to gather in worship and fellowship, to learn, to teach, to nurture, to give thanks for God’s blessings, and be of service to the community. 5. Harris Arts Center — to bring the arts to the entire community (in and around Calhoun) and to honor the legacy of Roland Hayes, a world renown African American tenor and composer who was born in the small Gordon County community of Curryville. 6. Bartow Rotary Club — putting service before self, Rotary Clubs exist to help both local and global communities. 7. Blunt House — to preserve and document the history of the Blunt House in Whitfield County. 8. Habitat for Humanity of Gordon County — to bring people together to build safe, affordable homes, communities, and hope in Gordon County. 9. Salvation Army — to meet human needs without discrimination. 10. GateKey Program — to establish two-year scholarships for eligible Cartersville High School students and give them the opportunity to work toward an attainable goal of a college education. 11. 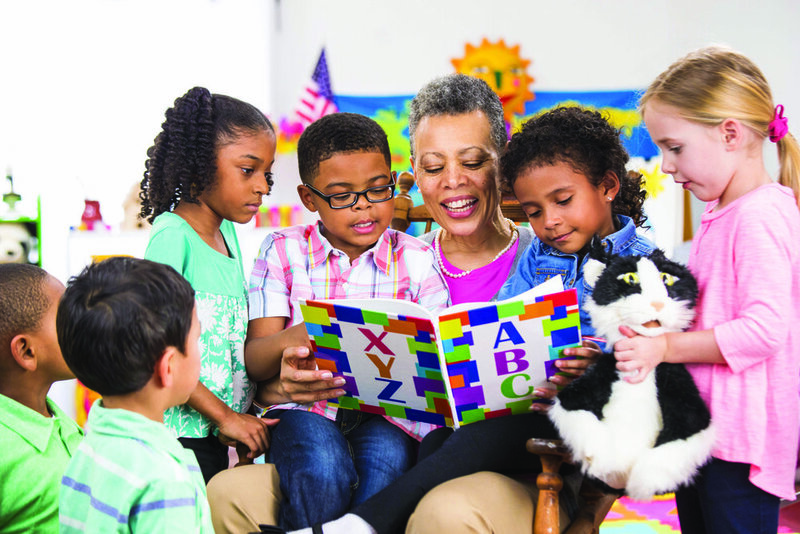 Looper Speech and Hearing — to meet the speech, language and hearing needs of children and adults living in and around Dalton. 12. Boy Scouts Northwest Georgia Council — to prepare young people to make ethical and moral choices over their lifetimes by instilling in them the values of the Scout Oath and Law. 13. Dalton Education Foundation — to develop, support, and promote excellence in the nationally acclaimed Dalton Public School system by recognizing exceptional teachers, awarding classroom grants, and providing scholarships to students. 14. Dalton Organization of Churches (DOC-UP) — To provide responsible short-term financial assistance to people in temporary crisis who are living one or two lost paychecks from financial disaster and prevent families in Dalton from entering the cycle of poverty and homelessness. 15. 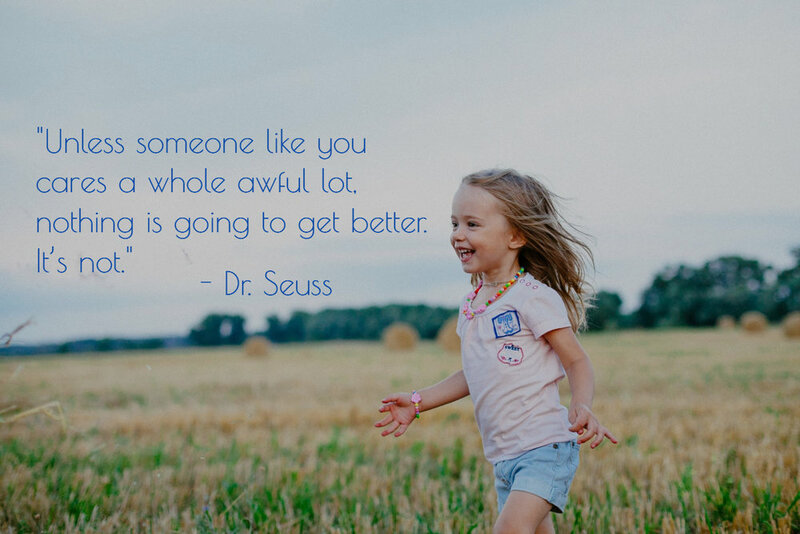 Advocates for Children — to advocate for the prevention of child abuse and neglect in and around Bartow County and create a world where all children are respected, loved, happy and thriving. 16. RossWoods — to provide safety, nursing care, personal care services and therapeutic activity programs during the day in a homelike setting for participants living in Northwest Georgia. 17. United Way of Gordon County — to accurately assess the needs of Gordon County and to mobilize available resources to meet the needs. 18. Boys & Girls Club of Gordon, Murray, and Whitfield — to enable all young people, especially those who need us most, to reach their full potential as productive, caring, responsible citizens. 19. Alzheimer’s Fund — to eliminate Alzheimer’s disease throughout the Northwest Georgia region through the advancement of research; provide and enhance care and support for all affected; and reduce the risk of dementia through the promotion of brain health. 20. Creative Arts Guild — to cultivate and sustain the arts in Dalton and its surrounding counties. Thank you for being part of our Foundation’s history. Please help us share our story by sharing our posts with others. And as always, if we can be of service to you, your family, or your company, please contact us at (706) 275-9117. 20th ANNIVERSARY: Grants Serving "The Least of These"
Community Foundation staff, volunteers, and patrons remain acutely aware of the needs of “the least of these” — individuals and families facing life’s most challenging circumstances. 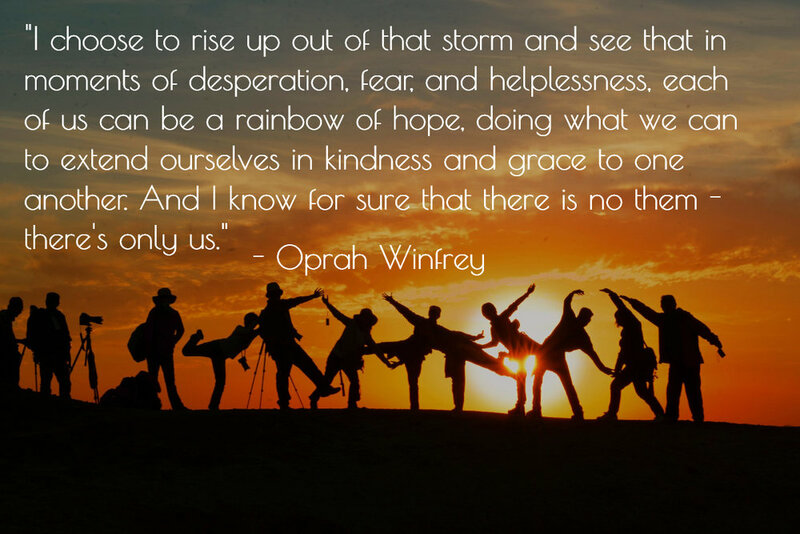 In order to make the world a better place for all, we must reach into the depths of our own hearts and lift up others who are struggling and in need of assistance, comfort, and humanitarian aid. A scene from the Good Neighbor Homeless Shelter in Bartow County. Our Foundation continues to support nonprofits and charities serving society’s most vulnerable. 1. 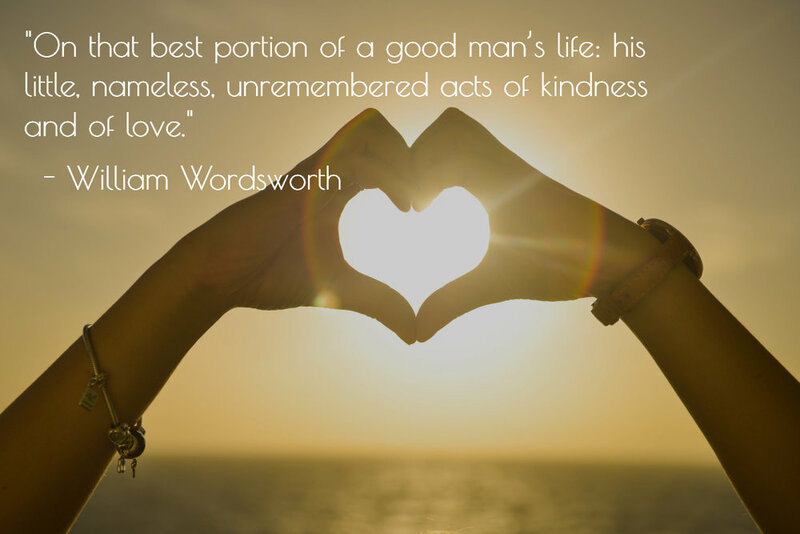 Good Neighbor Homeless Shelter —From helping to support their transitional housing homes program to helping to purchase new mattresses for the shelter, we are proud to partner with an organization that is truly helping families get back on their feet again. 2. The D.E.O. Clinic, Inc. — D.E.O. provides competent, compassionate medical care to low income individuals who do not have health insurance in Whitfield and Murray Counties. Through our grants program, our Foundation has helped D.E.O. with everything from the costs of much-needed diagnostic testing to helping fund two vasectomy surgical kits. 3. Northwest Georgia Branch (Chattanooga Area Food Bank) — Our Foundation helped establish the branch in Dalton in order to efficiently serve food pantries and feeding programs throughout the region. 4. Hickory Log Vocational School — Our Foundation awarded a grant to help Hickory Log purchase commercial cleaning supplies necessary to keep the facility clean and “to code.” The organization is a residential facility that assists men with intellectual and developmental disabilities gain greater independence and life skills. 5. Beyond Limits Therapeutic Riding, Inc. — Beyond Limits in Bartow County provides therapeutic riding for children and adults with autism, brain injuries, cerebral palsy, developmental delays, etc. Our Foundation has helped fund scholarships for special needs children and provided a grant that helped purchase necessary equine therapy equipment. 6. Family Resource Center — Our Foundation has awarded grants to help fund the Family Resource Center’s signature fundraiser, “An Evening of Love and Laughter.” Their mission to prevent child abuse in all its forms in Gordon County is one worth supporting. 7. 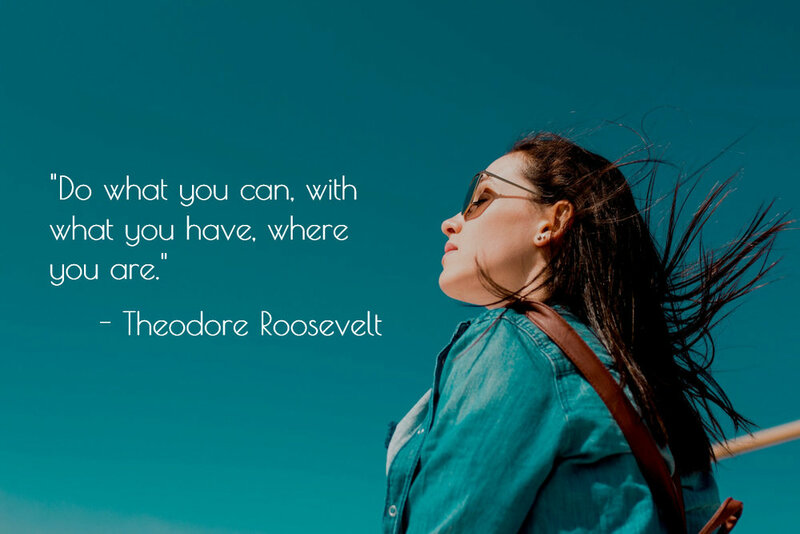 Carter Hope Center — We are proud to partner with organizations like Carter Hope and award grants so that they can provide affordable, effective treatment for people struggling with addiction. 8. Red Cross — Perhaps every disaster victim’s best friend, the Red Cross is a powerhouse in the field of humanitarian aid, and our Foundation has awarded several grants to help them in their mission. 9. Winners Club — The Winners Club is a nonprofit organization serving at risk children and young people in Calhoun/Gordon County through mentoring, tutoring, recreation and positive role modeling. Several years ago, we helped the Winners Club begin building their endowment. 10. Meals on Wheels — Our Foundation has helped fund both meals and the gas required for the volunteers to deliver the meals to the homes of individuals in the program. 11. City of Refuge — We are a proud supporter of the work of City of Refuge, a group that helps those left living in the margins of society integrate back into society to live healthy, functional lives. 12. Voluntary Action Center (VAC) — From helping fund emergency housing to supporting the food pantry and community kitchen, we applaud the work of Calhoun’s beloved VAC and support them through our grants programs. 13. Dalton Organization of Churches United for People (DOC-UP) — Our Foundation has awarded thousands of grant dollars to DOC-UP to help them provide financial assistance to Whitfield residents in crisis. 14. Providence Ministries — Grants awarded to Providence Ministries range from helping purchase furniture for the women’s shelter to completing the men’s shelter. 15. Bartow County Senior Center — Our Foundation awarded a grant to help purchase safe exercise equipment (treadmill, free weights, etc.) for the center to provide better exercise opportunities for seniors. 16. Dalton First Church of the Nazarene — We’ve directed grants to help fund their Saturday Sacks Program at Tunnel Hill Elementary, because children need food in their bellies to learn and be the best they can be. 17. Habitat for Humanity (H4H) — Our Foundation has assisted H4H in Bartow, Whitfield, and Gordon Counties in their mission to build safe, affordable housing for low-income partner families who have the means to make modest mortgage payments and are willing to help build their own homes and the homes of others. 18. Northwest Georgia Family Crisis Center — Our Foundation awarded a grant to the the crisis center to help provide taxi vouchers and gas cards to help victims of domestic violence get to job interviews, medical appointments, etc. 19. Tonsmeire Community Clinic — Our Foundation has been a longtime supporter of the clinic including helping to fund dental services (tooth extractions, oral surgeries, dentures, etc) for low-income, non-insured residents of Bartow County who are struggling. 20. The Salvation Army — Our Foundation awarded a grant to help the Salvation Army upgrade their playground area by installing trash receptacles, benches, and speed bumps in the parking lot. Hurricane Katrina made landfall near Grand Isle, Louisiana on August 29, 2005 — just over thirteen years ago. 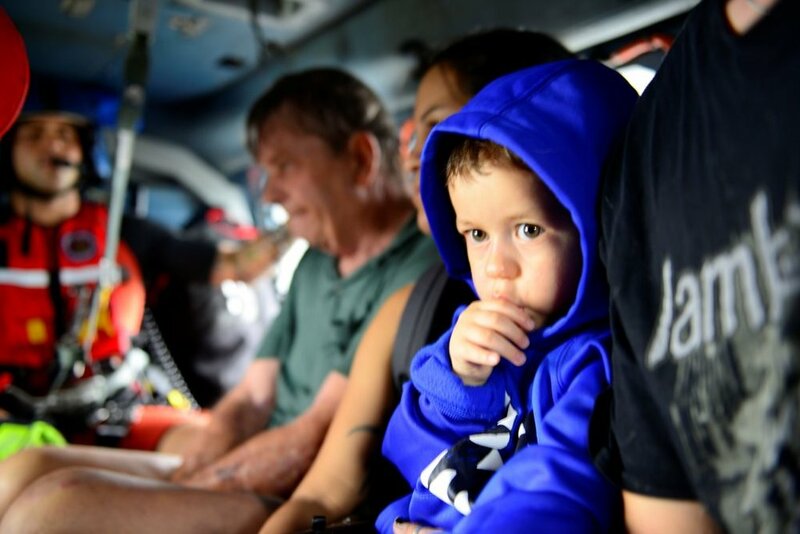 Our nation watched in horror as the storm hurled mighty winds nearing 127 mph at the region causing apocalyptic storm surges and catastrophic flooding all along the Gulf Coast. The total damage from Katrina is estimated to be $125 billion. Thirteen years ago this week, Hurricane Katrina made landfall near Grand Isle, Louisiana. Four weeks later, our Foundation led a team of volunteers to the region to determine how we could help. Four weeks after Hurricane Katrina’s assault, a group of volunteers recruited by the Community Foundation of Northwest Georgia, made a fact finding trek to the region. The Foundation took on two projects. The first was a benefit concert in Dalton’s historic Wink Theatre, which raised $25,000 earmarked from the City of Waveland and the Mississippi Gulf Coast Community College. The Foundation also worked closely with the Carpet and Rug Institute and local industry to develop a carpet and floor covering installation training program. The program graduated 12 certified carpet installers later that spring. To commemorate our twenty-year history of advancing local philanthropy, we present twenty photos from the Foundation’s trip to Waveland, Mississippi in the aftermath of Katrina. 1. In fall of 2005, a team of leaders from Dalton visited the Gulf Coast to determine how the Community Foundation and other Northwest Georgia businesses could assist in the cleanup and recovery after Hurricane Katrina hammered the region. Pictured are: Charlie Johnson, David Aft (President of the Foundation), Tommy Longo (Mayor of the city of Waveland, Mississippi), and Norris Little (Foundation volunteer and Dalton business leader). George Woodward and Richard Fairey made the trip but are not pictured. 2. The photo shows the remains of Long Beach, Mississippi. The team saw mass and utter devastation for as far as their eyes could see. 3. Boats were flung inland. Cars were toppled and mangled. Photo taken in Pass Christian, Mississippi. 4. In the aftermath, community leaders launched "Project Rebirth," and started the work of rebuilding the Gulf Coast communities torn asunder by the storm. 5. Photo of Gulfport commercial fishing boats "tossed" here and there along the shores. 6. The twisted rails throughout the region served as a stark reminder of the power of a storm surge. 7. Photo shows debris layered along the beach of Gulfport, Mississippi. 9. Photo shows the remnants of a playground smashed against the side of an elementary school. 11. A resident of Waveland, Mississippi accepts a boxed meal from the American Red Cross four weeks after Hurricane Katrina decimated his community. 12. Four weeks after the storm, Gulfport Seabees were already rebuilding the community. 14. Photo shows "all that was left of Waveland, Mississippi" four weeks after Katrina. 15. Norris Little poses next to a marker thanking volunteers and donors for helping the Waveland community rebuild after the Hurricane Camille disaster in 1969. 16. Photo shows what was left of a coastal condo community near Diamondhead, Mississippi. 17. Photo shows the temporary city hall erected in Waveland just weeks after Hurricane Katrina. 19. Photo shows a boat resting peacefully in the middle of a cemetery just outside of Biloxi, Mississippi. 20. Residents of the coastal region placed an American flag near the debris field as an enduring symbol of hope. As we look back on our 20 year history, our Foundation remembers our friends and neighbors in Waveland and the other coastal communities. We hope they are well. In Northwest Georgia, our Foundation is fortunate to know —and to have known—many of local philanthropists who dedicated their lives and treasure to improving the quality of life throughout our region through acts of selfless, charitable giving. Whether their gifts funded departments at local colleges and universities, made possible a historic site that draws thousands to its grounds each year, restored a community theatre used for local performances, or launched a thriving church endowment, the late philanthropists of our region were true pioneers who left Northwest Georgia a powerful legacy. To commemorate our twenty-year history of advancing local philanthropy, we are posting special reflections and topics for twenty weeks. Today, we present twenty philanthropists we miss (we know there are so many more). Did you know any of the fine people on this list? Please share your story with us. 1. James and Sis Brown — aside from starting Brown Industries, the Browns are known for their 60+ years of community involvement and giving including generous gifts to Hamilton Medical Center, Dalton State College, Reinhardt College in Waleska, and our Foundation. In fact, James was a founding member of the Foundation, and Miss Sis served on the Dalton-Whitfield’s affiliate board for several years. 2. John F. and Ann Felton Collins — Lifetime residents of Bartow County, the Collinses bequested $500,000 to endow a chair in Environmental Technology at North Metro Technical College and made significant contributions to Georgia Highlands College, the Etowah Scholarship Foundation, and Tellus Science Museum. Oscar and Peggy Jonas were tireless advocates for the arts. Upon Oscar's death in 1968, his friends and family founded the Oscar N. Jonas Memorial Foundation, which continues to support in-school arts programs in Whitfield County, Dalton City, and Murray County schools. 3. Zack Norville — Known for his exotic animal farm, Zack Norville was a passionate supporter of United Way of Northwest Georgia, as well as other community projects and causes. 4. Oscar and Peggy Jonas — Oscar and Peggy were passionate advocates of the arts in Murray and Whitfield Counties and founded the Creative Arts Guild with others in the community. 5. 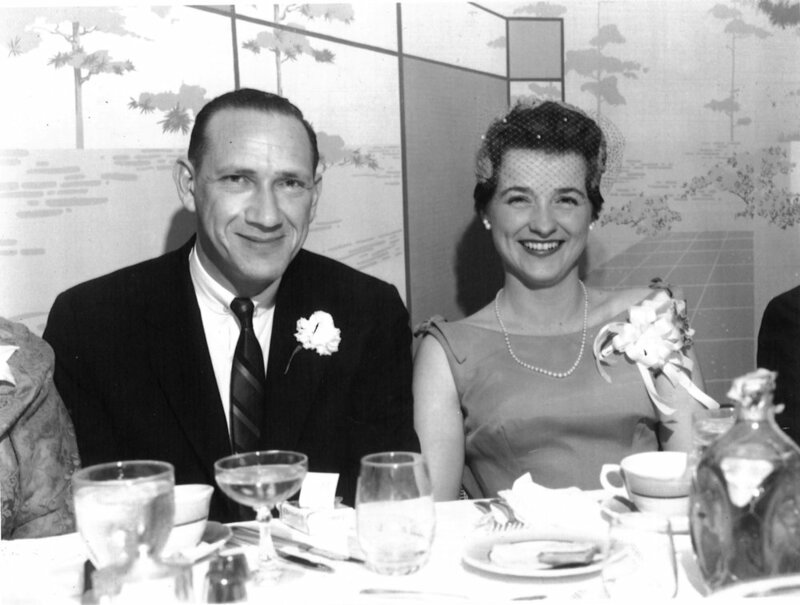 Alan and Shirley Lorberbaum — In addition to founding Aladdin Mills in 1957, the Lorberbaums delivered financial support to Dalton State College, United Way, Whitfield County - Dalton Day Care Center, and the Creative Arts Guild. 6. Raymond and Pearl King — After selling their thriving construction business, the Kings donated the land for the Calhoun Educational Complex, donated over 20 vehicles to the Coosa Valley Technical College, and made a sizable donation to kick start the Calhoun-Gordon Community Foundation Endowment. 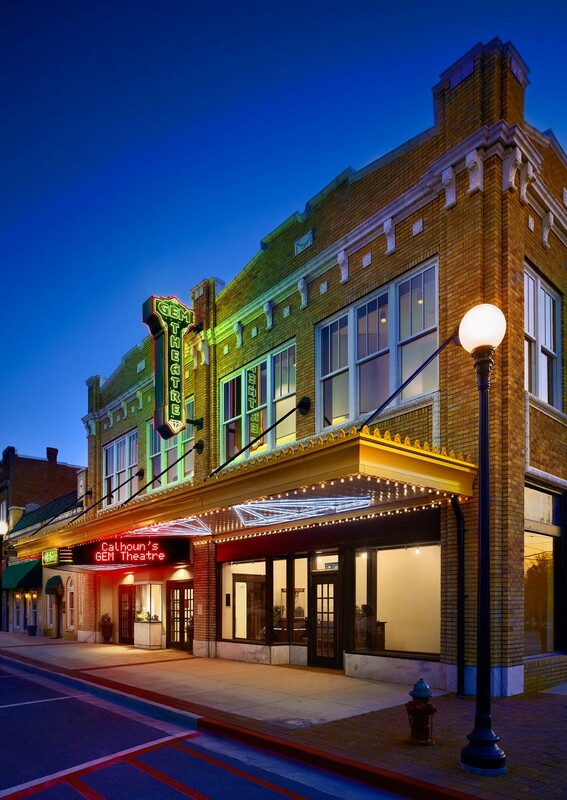 Perhaps their most visible contribution to the community was the leadership and financial support they gave to the restoration of downtown’s GEM Theatre. 7. Sam Smith — Smith, along with a group of other local businessmen, founded Century Bank of Bartow County where he served as president, CEO and director until his passing in 2005, but he is perhaps best remembered for his community leadership and philanthropy — Lion's Club, Joint Development Authority for Cartersville and Bartow County, Democratic National Committee, etc. He placed special emphasis on projects that improved his church, Sam Jones UMC, and Cartersville Little League Baseball. 8. Fannie B. Jones — Fannie B. was an iconic figure of the city of Dalton. As a trustee of Hamilton Medical Center, the Dalton State College Foundation, the Community Foundation, and in many other leadership roles, she was distinguished by her energy, her organizational ability, and her financial support. Her charitable focuses were healthcare, education, religious issues, and civil rights. 9. Jack Turner — Jack Turner was a tireless advocate for Hamilton Medical Center and Dalton First Baptist Church. He’s credited with spearheading the “First Foundation” endowment for the church. 10. Julius “Bud” Shaw — Known for merging the interests of Star Finishing and Sabre/Philadelphia into Shaw Industries, Inc., Bud’s charitable ventures include generous gifts to Georgia Tech and First Presbyterian Church in Cartersville. 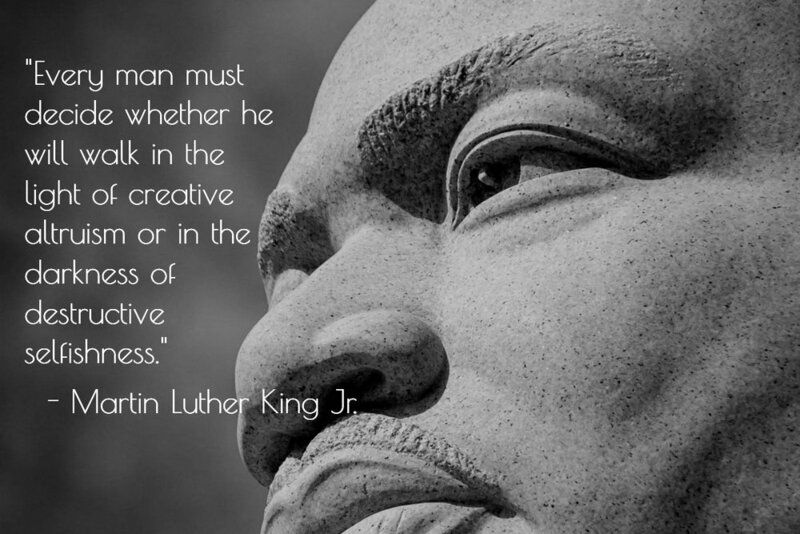 He personally funded many grants to promote character education in young people. 11. Tom Durkan, Sr. – He was the founder of Durkan Patterned Carpet, but many in Northwest Georgia remember Tom Durkan, Sr. as a philanthropist with a kind, generous heart. Among his quiet charitable acts, Durkan supported the Northwest Georgia Family Crisis Center, Centro Latino, and funded the construction of soccer fields for Dalton’s youth. 12. Thomas and Peggy Jones — A prominent Dalton businessman who cofounded J+J Industries, Tom served on the Dalton Board of Education for 26 years and was chairman from 1967 to 1986. The Joneses supported an array of causes that focused on improving the lives of families including gifts to Friendship House, Dalton High School and their athletic program, and the Dalton Education Foundation. 13. Lamar Hennon — Founder of Carpets of Dalton, Lamar Hennon is also remembered for his work ethic and helping others. His support of athletics spans from Dalton High School to Whitfield County Schools to several colleges and universities. The baseball stadium at Western Carolina University is named for Hennon to recognize a significant financial contribution he made to expand and upgrade the facility. 14. Harry and Helen Saul — Harry Saul and his wife, Helen, co-founded a small chenille business in 1946. Who knew back then that the little business that manufactured children’s robes would eventually become Queen Carpet. 15. Lamar and Lulu Westcott — Founders of Cabin Craft, the Westcotts appear throughout Dalton’s rich history. In the mid Forties, Lamar Westcott raised $4,000 for The Empty Stocking Fund, a precursor to the Community Chest which evolved to our local United Way. They also gave generously to Berry College in Rome, the PENCIL Foundation in Tennessee and many others. 16. Ken Boring — In his lifetime, Ken was a businessman, humanitarian, philanthropist and was a strong supporter of the Salvation Army, Dalton State College, University of Tennessee, Maryville College, Whitfield Healthcare Foundation, Junior Achievement, and so many others. The Borings also established The Kenneth E. and Dottie S. Boring Healthcare Scholarship at Dalton State College and donated the 13-acre Prater’s Mill historic site to Whitfield County. 17. Clarence Harris — Founder of Carriage Industries in Calhoun and a true philanthropist, Mr. Harris helped many including a gift of $1 million to help fuel an endowment at the University of Tennessee. The Foundation named for him has continued to help the community with large donations to Gordon Hospital to build the Harris Radiation Center, the Harris Arts Center, Habitat for Humanity of Gordon County, the Northwest Georgia Family Crisis Center, and so many others. 18. Carolyn Hamrick — Carolyn Hamrick was the beloved Campus Dean of Georgia Highlands College in Cartersville. Generous with her time and her financial support, she focused on projects that helped her college, her church, and her community. She was a supporter of Georgia Highlands College and Sam Jones United Methodist Church. 19. Jim and Sybil Boring — The Borings gave generously to the community including significant gifts to United Way of Northwest Georgia, the Huff House, Reinhardt College, and Hamilton Medical Center. Prater’s Mill historic site was also gifted to Whitfield County by the Boring family. 20. Matthew Hill — a retired Cartersville educator and school board member, Coach Matthew Hill was a well-known and well liked volunteer in Bartow County until his death in 2009. He supported an array of causes in his lifetime including his church, St. Luke AME Church, New Frontiers, Hope House, Boys & Girls Club, Glory Harvester Prison Ministry, and Advocates for Children. 20th ANNIVERSARY: 20 Fundraisers that Rock! From watching thousands of rubber duckies float in the waters to raise money for Advocates for Children to eating a heaping pile of pancakes to raise money for the Kiwanis Club of Dalton to dancing on stage to raise money for United Way of Gordon County, big fundraisers draw us in and remind us that it is time to give. The Community Foundation is a proud partner and advocate for the hundreds of nonprofit organizations and churches that tirelessly serve the individuals and families of Northwest Georgia. To commemorate our twenty-year history of advancing local philanthropy, we are posting special reflections for twenty weeks. Today, we present twenty of our favorite charitable events. Advocates for Children in Bartow County races ducks to raise money and awareness. 1. Duck Derby — It's a really quacky concept that benefits Advocates for Children in Bartow County. To win the Grand Prize (thousands of dollars), donors adopt a duck (from $5 to $250). Each duck adopted is released into a lake for the big Duck Derby. The ducks float along and Quacky and his friends pull the winners from the water as they go. The first duck to be pulled from the water wins the grand prize. 2. Baxter Dean Runway Show — For years, business partners Andy Baxter and Hanna Dean (with the help of local businesses like Gentry Construction) put on a runway show and production showcasing local high school student models. Thousands of dollars are raised and donated to a specific local charitable cause each year. 3. United Way of Northwest Georgia Kickoff Block Party and Trike Race—hundreds of people gather to celebrate the official kickoff of the campaign season, watch CEOs and teams from local businesses race on souped-up tricycles, and see the current year’s campaign goal revealed to the public. 4. Evening of Love and Laughter — In February, Prevent Child Abuse Gordon invites the community to enjoy An Evening of Love and Laughter — an elegant affair held at the Harris Arts Center featuring entertainment, auctions, door prizes, a raffle, food and fun. 5. Spring for the Arts — The Creative Arts Guild presents “Spring For The Arts” in March at The Farm. The event includes a delicious lunch, an Artisan Market and Raffle, and a fabulous Fashion Show. 6. Pond and Garden Tour of Bartow County — Because everyone loves a beautiful garden, the Magnolia Garden Club hosts a tour of private ponds and gardens to raise money for Horticulture Scholarships and Junior Garden Club projects at area schools. 7. Kiwanis of Dalton Pancake Day —the Dalton Club's major fundraising project is usually held the first Saturday in November under the big tent on Dalton Green. Since 1960, thousands of guests take part in Kiwanis Pancake Day by enjoying all-you-care-to-eat pancakes and sausage. 8. United Way of Gordon County Unity Run — For almost 25 years, the Unity Run (offering a 5K run/walk and a children’s 1K) has marked the official start to the United Way of Gordon County Fund Raising Campaign. Only Calhoun’s Dancing with the Stars raises more funds for the local 18 partner agencies. 9. Roman Open Golf Tournament— a large-scale fundraising golf tournament held in Dalton that benefits nonprofit organizations operating in Whitfield and Murray counties. In 2017, the tournament raised $86,500, distributed to forty local charities, two memorial scholarships to Dalton State College, and eight merit scholarships to Georgia Northwestern Technical College. 10. Relay for Life of Gordon County — the walk is the signature fundraiser for the American Cancer Society and is held in many counties across America. In Calhoun, the relay is staffed and coordinated by volunteers of Gordon County and sponsored by local companies. 11. Dalton Tour of Homes — In December, the Northwest Georgia Crisis Center launches their annual Tour of Homes where ticket holders walk inside some of the showpieces of Dalton and enjoy elegant food items. Proceeds help victims of domestic violence. 12. Dancing with the Stars Events — Dalton, Calhoun, and Cartersville all host entertaining Dancing with the Stars type events. In Dalton, proceeds of the community dancing extravaganza support The Alzheimer’s Association. In Cartersville, the proceeds help support Good Neighbor Homeless Shelter. In Calhoun, funds raised by the dancers and the community go to help United Way of Gordon County. 13. Toast of the Town — a fundraiser held at The Farm that honors a member of the Whitfield County community each year. Proceeds of the event benefit Family Support Council’s programs that focus on supporting families and preventing child abuse. 14. Calhoun-Gordon Community Foundation Golf Ball Drop — in 2006, our Calhoun affiliate got the community’s attention by hosting a golf ball drop to raise funds to build up their community endowment. They’ve since awarded over $620,000 to local nonprofits and charities. 15. The Purse Auction — In Bartow County, it’s all about the bag! The Etowah Scholarship Foundation hosts an annual charity event promising a fun-filled ladies night out with live and silent auction items, raffles, music, and fellowship. 16. Festival of Trees — the Harris Arts Center in Calhoun invites the community to decorate and donate Christmas trees and put them on display during the month of November at the Harris Arts Center. The trees are auctioned off and the proceeds help the HAC fulfill their mission. There are also other Festival of Tree events in Northwest Georgia, as well. 17. Tour of Adairsville’s Society Hill Historic District — a fundraiser for Bartow County’s Etowah Valley Historical Society and Sans Souci Women’s Club. For a small donation, six spectacular Victorian homes in historic Adairsville are open for touring groups in early November. 18. Celebrity Spelling Bee — a hilarious fundraiser where prominent members of the community compete in a traditional spelling bee to raise funds for the Whitfield County School System. 19. Love Light Tree — Benefiting Hamilton Medical Center in Dalton, Love Lights offer a unique way to honor or memorialize a family member, friend, neighbor, co-worker, or beloved pet during the holiday season. As each gift is made to the Whitfield Healthcare Foundation, a light is added to the Holiday trees at Hamilton Medical Center. 20. Woodsongs Dalton Concerts — a concert series featuring an eclectic mix of professional musicians who play to raise funds for the DEO Clinic in Dalton, a nonprofit organization that provides free compassionate and competent care for needy patients who have limited financial resources and no insurance. From sacred Cherokee grounds to hallowed Civil War battlefields to theaters harkening back to the Roaring Twenties, Northwest Georgia’s historic monuments and landmarks allow us to look at history through a different lens, ask different questions about the past, and learn new things about our history and ourselves. Preserving history is an important way for us to transmit our understanding of the past to future generations. An evening at Calhoun's historic GEM Theatre. Photo compliments of the GEM. The Community Foundation places great importance on partnering with and assisting organizations and projects that prioritize historic preservation. To commemorate our twenty-year history of advancing local philanthropy, we are posting special reflections for twenty weeks. Today, we present twenty Community Foundation grants that have helped preserve the rich history of Northwest Georgia. 1. New Echota State Historic Site — in 2012, the Calhoun-Gordon affiliate awarded a grant to help fund the Cherokee Visiting Artists and Historic Demonstrations Series. 2. Prater’s Mill Foundation — in 2013, the Dalton-Whitfield Community Foundation affiliate awarded a grant to help Prater’s Mill extend their hours of operation to draw more visitors to the historic landmark. Since then, the Foundation has awarded other grants to help Prater’s Mill preserve its rich history. 3. The Emery Center — in 2016, the Dalton-Whitfield affiliate awarded a grant to help fund much-needed building repairs at the center. 4. GEM Theatre — in 2007, the Calhoun-Gordon affiliate awarded a grant to help with the restoration efforts of the theatre. 5. Noble Hill Wheeler Memorial Foundation — in 2006, the Cartersville-Bartow affiliate awarded a grant to help them with the historic preservation of the site. 6. Whitfield-Murray Historical Society — in 2013, the Dalton-Whitfield Community Foundation affiliate awarded a grant to help replace a security gate and make general improvements to the Dug Gap Battle Park. Through the years, the Foundation has awarded several grants to help the Whitfield-Murray Historical Society’s properties throughout the region. 7. Blunt House — in 2014, the Dalton-Whitfield affiliate awarded a grant to help remove an existing damaged sidewalk and replace it with a smooth, wheelchair accessible sidewalk to accommodate visitors. 8. Huff House — in 2016, the Dalton-Whitfield affiliate awarded a grant to help them with expenses associated with their Huffabaloo Festival. 10. Save the Dalton Battlefields, LLC — in 2013, the Dalton-Whitfield affiliate awarded a grant to help preserve Mill Creek Gap Battlefield Park. 11. Etowah Valley Historical Society — in 2014, the Cartersville-Bartow affiliate awarded a grant to help fund “Bartow History Scholars,” a web-based tutorial with interactive digital maps to teach Bartow County history to all three school systems. 12. Friends of the Crescent City — in 2014, the Dalton-Whitfield affiliate awarded a grant (one of many grants) to help restore the 1949 vintage Pullman train car, which has become a point of interest for visitors touring Dalton, as well as local students. 13. University of West Georgia Center for Public History — in 2014, the Dalton-Whitfield affiliate awarded a grant to help fund the West Georgia Textile Trail Annual Conference, a state-wide promotion of the heritage tourism related to the textile industries and their communities from Columbus to Dalton. 14. Chieftains Museum (Rome, GA) — in 2013, Bill and Linda Blackman awarded a grant from their Community Foundation Donor Advised Fund to the Chieftains Museum to help restore some historical letters penned by General Robert E. Lee. 15. Kingston Womens Club — in 2007 and 2008, the Cartersville-Bartow affiliate awarded a grant to the club to help them preserve the history of the Kingston area. 16. Friends of Resaca – in 2008, the Calhoun-Gordon affiliate awarded a grant to help fund restoration and projects associated with the Resaca Battlefield. 17. Town of Cohutta — in 2016, the Dalton-Whitfield affiliate awarded a grant to the Town of Cohutta to help fund the renovation and restoration of the historic Andrews Chapel Cultural Center. 18. Bandy Heritage Center — in 2013, the Dalton-Whitfield affiliate awarded a grant to purchase video equipment for the Bandy Heritage Center to help them record the stories of historical figures throughout the region. 20. Calhoun-Gordon Sports Hall of Fame — In 2015, the Calhoun-Gordon affiliate awarded a grant to the local Sports Hall of Fame to help preserve the sports-related histories associated with local residents. HAPPY 20TH ANNIVERSARY TO US! In 1998, a handful of community leaders identified the need for a regional entity dedicated to assisting philanthropists throughout Northwest Georgia. Their solution was to establish a Community Foundation. Twenty years later, our Foundation is thriving. 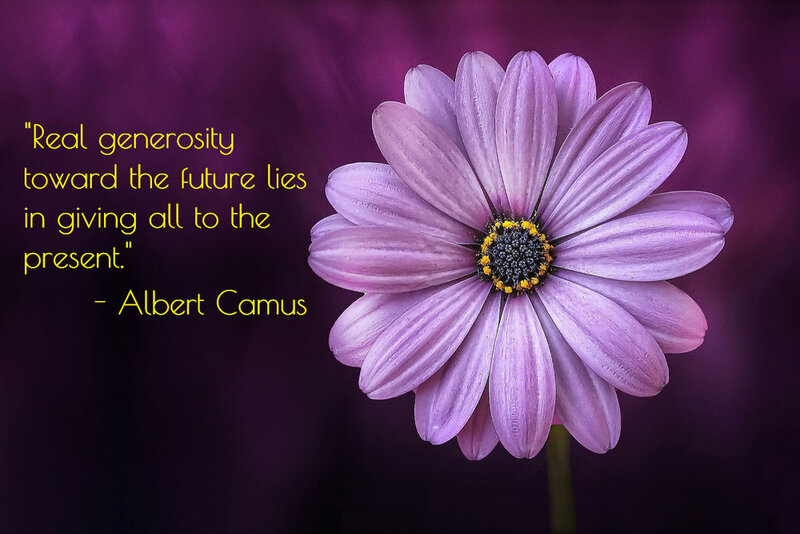 We help individuals and families give wisely and effectively to charities of their choice and serve the nonprofit networks of the region with mentorship, guidance, grants, and endowment services. To commemorate our twenty year history of advancing local philanthropy, we will post special reflections for the next twenty weeks. Please join us in celebrating 20 years of giving , 20 years of grants, 20 years of philanthropy, 20 years of impact! Please help us share our story by sharing our posts with others. And as always, if we can be of service to you, your family, or your company, please contact us at (706) 275-9117. We wish you twelve months of success, fifty-two weeks of laughter, 365 days of fun, 8,760 hours of joy, 525,600 minutes of good luck, and 31,536,000 seconds of happiness. We hope you will consider sitting down on New Year’s Day with your family to plan out your family’s charitable gifts for the year. 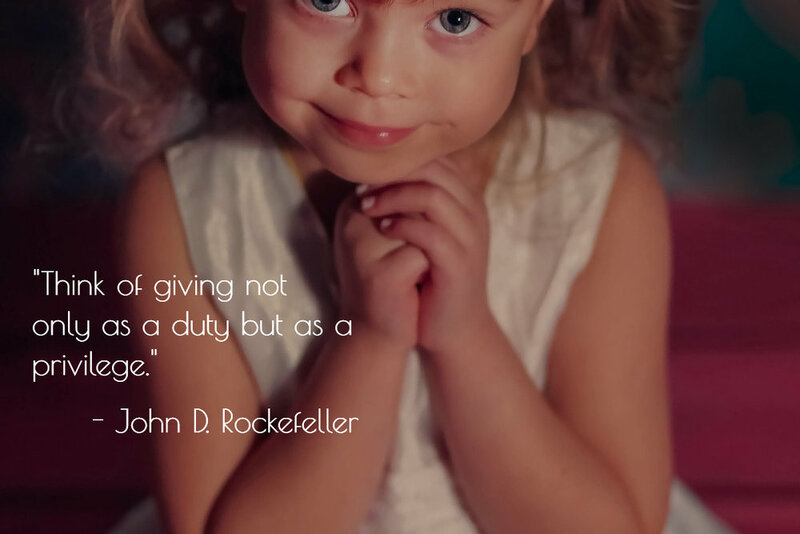 This will not only help shape a road map for your giving throughout the year, but it will also teach your children the importance of thoughtful, consistent charitable giving. You will be shaping the next generation of philanthropists with their involvement and participation. Our collective hearts go out to the victims and families of those who perished or were wounded in Sunday night’s mass shooting in Las Vegas. I know this event, as well as the other recent tragedies and natural disasters, are weighing heavily on all of us. It can be very easy to feel overwhelmed and powerless. If that happens, then the forces of evil win - every time. Over the last few years, Vu Le has become an important voice in the nonprofit world. In his column this morning, he noted the following, and I believe it to be an important message in these challenging times. “Though it seems the work we each do may be too remote or too small or too unconnected to make much of a difference in light of everything, be assured that it does," Le wrote. "Last week the Montana Nonprofit Association introduced me to an uplifting essay by poet and author Dr. Clarissa Pinkola Estes, called 'We Were Made for Times Like These.'" Over the past few weeks, I have made it a point to watch people mobilize to help others. Whether it was a corporation sending drinking water to Houston or the daughter of a friend of mine who organized her own relief effort for storm-ravaged Puerto Rico, people and organizations respond in times of need. Most examples are far less dramatic and occur all of the time. Whether you participate in a your church’s latest mission trip or make a donation to this year’s United Way campaign, your gifts shape the world around you and contribute to the accumulation so eloquently described Dr. Estes. Every day I see evidence of our individual and collective resolve to make the world a better place. These acts continue to offer both an optimistic vision and a proven path. Charity in and of itself may not heal the world, but collective action and investment can help us through our toughest times. It seems like only yesterday that we all took a moment from our busy lives to put on a pair of silly cardboard sunglasses and stared at the sky. My wife and I joined a great number of our fellow Americans in looking skyward and watching the moon eclipse the sun. For a moment or three (depending how far you ventured into the celebrated “zone of totality”) our differences were set aside in favor of a truly unique and other-worldly experience. Beyond the natural beauty of this infrequent collusion of heavenly bodies, it was hard not to notice that for a brief moment, it seemed we were all on the same team. There wasn’t any of the contentious rancor that has so characterized our modern world. Even the President took a moment to look upward. He understood that it was bigger than all of us. Over the weekend, I joined most of the country in watching Hurricane Irma and its devastating dance through the Caribbean and up the coast of Florida. We all held our breath as we thought about our friends and neighbors. Utility service trucks organized, staging in strategic locations, ready to move in as soon as the storm’s winds subsided. Once again, we focused and we acted - not as a fractured commonwealth, but as a team. There are many things that bring us together - some exciting and extra-terrestrial, like the eclipse, but some with a more serious and human aspect. Now, you may ask what all of this has to do with philanthropy and charitable giving. The answer is pretty simple – we are at our very best when we work together and remember that our highest aspirations and deepest commitments are best served when we focus our energies on the things larger than ourselves. Sometimes it seems like we will never find the balancing point between our individual perspectives and our collective needs. The fact that we pause for a moment to look up at the stars or commit ourselves to the welfare of our common man, prove, beyond a shadow of a doubt, that we can focus on things that are larger than all of us. Further, these opportunities also remind us that in the face of adverse conditions, we, as a country, are willing to line up, like the utility trucks we saw earlier this week headed for Florida and Texas, and focus our efforts on making a difference. This spirit is alive and well, and the last few weeks have provided ample reminders that when we pause for a moment, the noise and bickering that so often characterize our world, take a distant second to our resolve and commitment. This is truly the heart of philanthropy. People often ask me, "What does the Community Foundation do?" We do a lot, and the answer is not easily condensed down to one or two easy-to-understand sentences. So I tend to use examples of our work to demonstrate who we are and what we do. 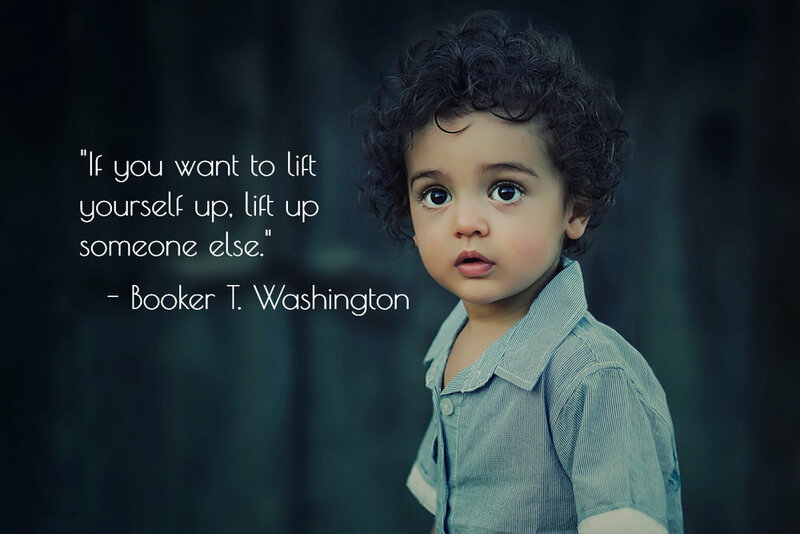 For example, our Foundation is a champion for literacy in Bartow County where we've awarded grants to purchase a book mobile and support book programs for young children living in low-income neighborhoods. Our Foundation awarded significant grants to help build both the Harris Radiation Therapy Center and the Calhoun Aquatic Center in Gordon County, and we will soon tackle the community-wide hunger problem. In Whitfield County, our Foundation is working with a local philanthropist to build a performing arts park in downtown Dalton. Again, we do a lot. Through our work with local nonprofit organizations, we often advise them to formulate an elevator pitch - a brief, persuasive speech designed to spark interest in what the organization does in just a minute or two. But we, too, needed an elevator pitch. We designed a 1-minute animated video to help explain our work. Please take 60 seconds and watch our video and let us know what you think. In my previous blog posts, I covered timing your charitable donations (when) and how to make the biggest impact with your gifts. Today’s blog post is essentially a warning to all donors. We are bombarded with endless requests for charitable donations. We’re asked on the street, at home, at the neighbor’s cocktail party, by telephone, in the mail, via social media sites, and through personal email correspondence. The appeals are designed to tug at our hearts and make us believe our donations have the power to make or break an organization. In most instances, our donations will be used for good causes, but sadly, scammers and criminals occasionally ask for money under the guise of charity and doing good. They are savvy and smooth in their efforts to steal our money, and even the brightest among us can be misled and victimized. Here are a few things all of us can do to prevent being victimized and ensure our generous donations are being used to make the world a better place. Always check out unfamiliar organizations. If the organization is local, ask friends and family members about it. But if the organization isn’t local, go to the web and start searching. If you haven’t heard of a particular charity before, you may want to visit GuideStar (www.guidestar.org), which contains records from almost 2 million nonprofits registered with the IRS. The free component of GuideStar allows you to access an organization’s Form 990 and review the income, expenses, mission, and executive salaries. You may also want to visit the BBB Wise Giving Alliance (www.give.org), a group affiliated with the Council of Better Business Bureaus that evaluates hundreds of national charities and thousands of smaller, regional groups. And CharityWatch (www.charitywatch.org) rates most of the national organizations with a grading system from A to F. CharityWatch dives deep to determine how efficiently a charity will use a donation to fund its programs. Watch out for copycats. Some questionable organizations use names that closely resemble those of well-established charitable organizations. For example, Make-a-Wish Foundation has raised millions of dollars to give sick and dying children a day where they don’t have to think about being sick, but Make-A-Wish Foundation’s success at raising money and doing good has gotten the attention of copycats and con men. They ask for money for nonexistent charities with similar names like Making Wishes Come True, Kid Wish USA, and Granting Kids Wishes. Beware of false claims. If someone calls and thanks you for a pledge you don’t remember making, slow down and ask questions to determine if you actually made the pledge. And watch out for fraudulent invoices for pledges or donations. Don’t give a donation over the phone unless you initiate the call. Organizations often call as we sit down with our family to eat dinner. We cringe but listen to the pitch. It is important to know that telephone solicitations are a favorite among scammers and criminals today, so you have to be very careful. Don’t ever give your bank account information or credit card information to a caller, because you really don’t know who you are talking to unless you initiate the call. If they become pushy, hang up. Be careful when making a donation through a website portal. If you decide to make a pledge online, that’s fine, but if you decide to make an actual gift online, make sure that you see “https” at the beginning of the web address (URL). “Https” denotes that it is a secure link and your information will not be compromised. Also, take a few seconds and examine the entire web address to make sure the link is a legitimate donation processing site. For example, it probably wouldn’t be wise to type in your credit card information into a field at a site called, https://alx.234.girls.india. Don’t click the link in email solicitations. We’ve all gotten email messages that look legitimate and ask us to click on a link. My advice—don’t click the link. If you want to give a gift to a particular organization, start from scratch. Look up the organization online, and make your donation either by sending a check through the mail, dropping off a check in person, or giving online via a safe link. There are other precautions, but these are good starting tips. Again, be generous, but be thoughtful and smart with your generosity. And if you ever find yourself unsure about an organization and want a second opinion, give me a call and I’ll tell you what I think. In my last blog, I covered timing your charitable gifts to make the greatest impact for the beneficiary organizations you’ve chosen to help. Today, my focus is on how to give—the best way to optimize your charitable contributions and get the most bang for your bucks. Here are a few notes to consider. I consider my willingness and ability to “give back” an honor, a privilege, and a blessing, but it doesn’t stop with the generosity in my heart. Just like others, I seek value in my charitable giving decisions. I encourage all prospective donors to consider not just who they give to, but when they give and how they give. In my next blog post, I’ll address how to avoid scams in your charitable endeavors. Stay tuned. 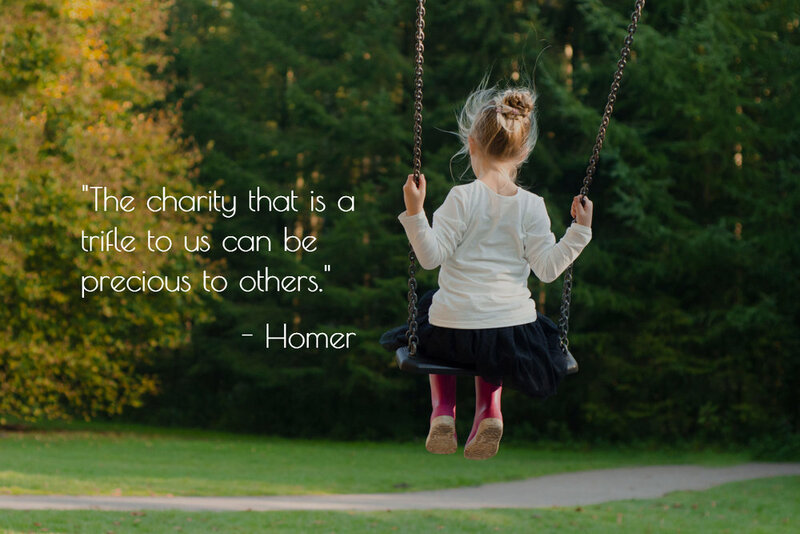 Every holiday season, I find myself in more than one conversation about charitable giving. Knowing I have dedicated my life to fostering both civic enterprise and promoting charitable giving, friends, family members, and business associates often corner me at holiday gatherings and ask candid questions about the legitimacy, effectiveness, and efficiency of dozens of local and global organizations on their radars. A few weeks ago, when someone asked my advice about where he could donate some money to achieve the greatest impact, I shared a short list of groups I have worked with over the years—each with impressive records in impact and accountability. And then I paused and went a step further. I told him that he could increase the relative value of his gift by waiting a month or two to make it. Let me explain. For most people, the decision of which organizations to give to often trumps when to give and even, how to give. My argument is that all three of these decision factors are equal in importance. Today, I will focus on the when part of the equation. Most donors are “value driven”—they want the best return on their investment—and relatively speaking, their contribution could possibly hold more “charitable value” to an organization in the leaner months following the holiday season, when less dollars are circulating through the organization. Many people are filled with the giving spirit in December, and they make a few year-end donations to help others, and perhaps, because they are looking for a few more tax deductions—not that there is anything wrong with that. As a result, many organizations are “financially fatter” at the close of the year than they are in the following springtime. So again, the aptly described “season of giving” may not always be the time when charities and the important causes they champion need our help the most. It brings me great pleasure to be able to give back, but like other folks, I want to give back with great value and confidence. I encourage all prospective donors to consider not just who they give to, but when they give, because the timing of our charitable contributions matters. In my next blog post, I’ll share a few thoughts about the different ways donors approach their giving, with an eye for making large charitable gifts manageable. Stay tuned. The most successful nonprofit organizations have two key ingredients—competent staff members committed to the organization’s mission and a board of directors made up of driven, energized volunteers. If you are an active community member, chances are, you have been asked to serve on one or more charitable boards. A board commitment can be a lot of work, and so it’s not a decision you should take lightly. Even boards of directors that lead great nonprofits have their inherent imperfections, quirks, and inadequacies. In my twenty-five year career helping struggling nonprofit organizations become more effective, I’ve often witnessed boards composed of weak—even invisible and absent—members. I’m not knocking community volunteers. However, I believe in most cases, those inactive board members may not have fully understood what they were agreeing to when they were approached about serving on the board. Successful Board Members Know the Organization—You need to know and understand the organization’s mission and activities. Indeed, you need to be ready to deliver an elevator pitch (a simple two-minute explanation of the organization and its vision) to a friend who inquires. You need to know the organization’s phone number and website. You need to become familiar with key staff members and their duties in case you have a question. And it’s a good idea to read the original bylaws and most recent audit materials. Great Board Members Take Their Fiduciary Responsibilities Seriously—When you agree to serve on a nonprofit board you are agreeing to follow several basic fiduciary duties (duties involving trust). You are expected to attend board meetings, listen, and make decisions based on the best interest of the organization—ignoring any personal interests you may have in the matters of discussion. In fact, you may be asked to sign a “Conflict of Interest” agreement. You need to make sure that your position on the board is not such that you will directly or indirectly receive an inappropriate financial gain for you, your family members, or your friends. Signing “Conflict of Interest” agreement does not mean you are banned from doing business with the nonprofit itself. It just means that relationships are disclosed and documented in advance and that you will recuse yourself from votes involving work or service you provide, or that may indirectly benefit you. Active Members Bring Their Talents To Boards—Board members often assist in fundraising activities. They make phone calls to help “get the ball rolling” on projects sometimes. If you have a special skill set, you may be asked to use those tools to move the organization forward. For example, if you are the Chief Financial Officer for a company, you may be asked to oversee financials of the organization. If you work in the marketing field, you may be asked to help make decisions affecting the organization’s marketing, publicity, and communications. You may also be asked to work on a committee. That’s common, and it may require even more attention and time. If you are on a committee, you may be asked to deliver a brief status report noting the committee’s findings or recommendations at the regular board meetings. Effective Board Members Show Up, Speak Up, and Vote—You need to read board materials sent to you in advance, and think about issues pertaining to the organization’s mission and decide how you feel about issues on the table. For example, in most cases, you will be sent the “minutes” from the previous board meeting. You are expected to review the minutes in advance and make a note of any necessary corrections. You are an overseer, so be prepared to attend meetings and speak up if you see or hear something in a board meeting that seems like a bad idea, looks suspicious, seems risky, or doesn’t seem to match the organizational mission. That’s your job. And your votes are important, so show up, speak up, and vote. Being on the board of directors of one of your favorite nonprofits can be an immensely rewarding experience, so I encourage you to get involved. But again, know what you are getting into when you agree to serve. Love what you do, work as a team, and stay passionate, always.